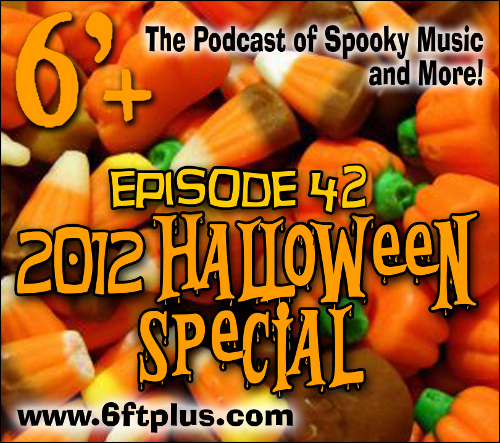 GdL16 Productions Presents: The 6ftplus 2012 Halloween Special. With Atomic Mystery Monster, Dr. Gangrene, Monstermatt Patterson, Igor, Weird Jon, Strange Jason and the GdL16 Intern. Featuring Sarah and David of High Fructose Zombies; Dr. Brandi Sexyvoice and Evil Dave of The Inside Outcast; Miguel Rodriguez, Beth Accomando and Ramie Tateishi of Monster Island Resort; Nate, Undead Elvis, Sherlock Foxxx and Teabag of The Psychobilly Garden Party; and a cameo appearance by Tomb Dragomir. Featuring the music of The Jimmy Psycho Experiment. You can find all episodes of 6′+ over at the official site as well as on iTunes and Stitcher . We’re also on Facebook and Twitter.